The silver dollar jade is an attractive succulent plant native to South Africa. The plant produces star-shaped clusters of white or pink flowers during the winter season. Silver dollar jades are hardy to plant year-round outdoors in USDA growing zones 10 through 12 or indoors in a container for colder growing zones. The plant is considered a succulent shrub and will grow up to 10 feet tall. Choose a planting location for the silver dollar jade that offers full sun conditions for a minimum of four hours a day. Low-light conditions will cause the plant to droop and discolor. Plant the jade in a garden area that has a well-draining soil or container with high-quality potting. Amend potting soil by adding course sand and perlite to increase the water-draining ability. Plant the silver dollar jade plant in a garden bed or container so the plant is at the same depth as it was in the container it was purchased. Dig a hole that is slightly wider and the same depth. Amend the removed garden soil by mixing equal parts organic compost to increase the nutrient value and water draining ability. Set the plant into the hole and gently pack the amended soil around the root ball. Water the silver dollar jade well after planting to moisten the soil without causing pooling of water. Water silver dollar jade plant only when the soil becomes dry to several inches in depth. Apply enough water to moisten the soil without causing pooling of water. Do not water again until the soil is dry. Over-watering the silver dollar jade will cause root rot and kill the plant. Fertilize the silver dollar jade plant each month during the summer growing season with a balanced water-soluble fertilizer that is diluted to half-strength. 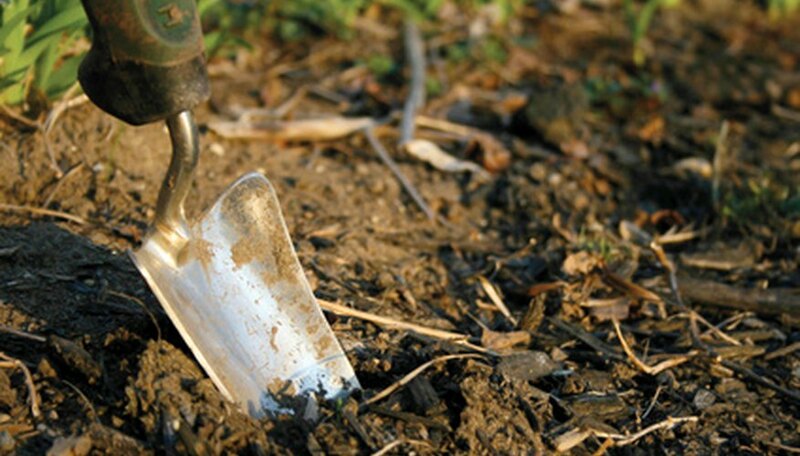 Apply a 2-inch layer of compost that consists of equal parts peat moss, loam and course sand around garden-bed plants. Prune the silver dollar jade in spring only to reduce the size of the plant. Additional pruning is not necessary. Propagate silver dollar jade plants by take stem or leaf cuttings during the summer months. Allow the stem or leaf to dry for two days after cutting. Dip the cut end of the leaf or stem into rooting hormone and stick it into a container of lightly moistened sand. Place the container in a warm location with indirect sunlight until roots are formed. Monitor the silver dollar jade plant for an infestation of mealybugs. The insects appear as white, fluffy bugs and cause new growth on the plant to become deformed. Gently wipe the insects off with a cotton ball dipped in isopropyl alcohol for several days until the bugs are no longer present.